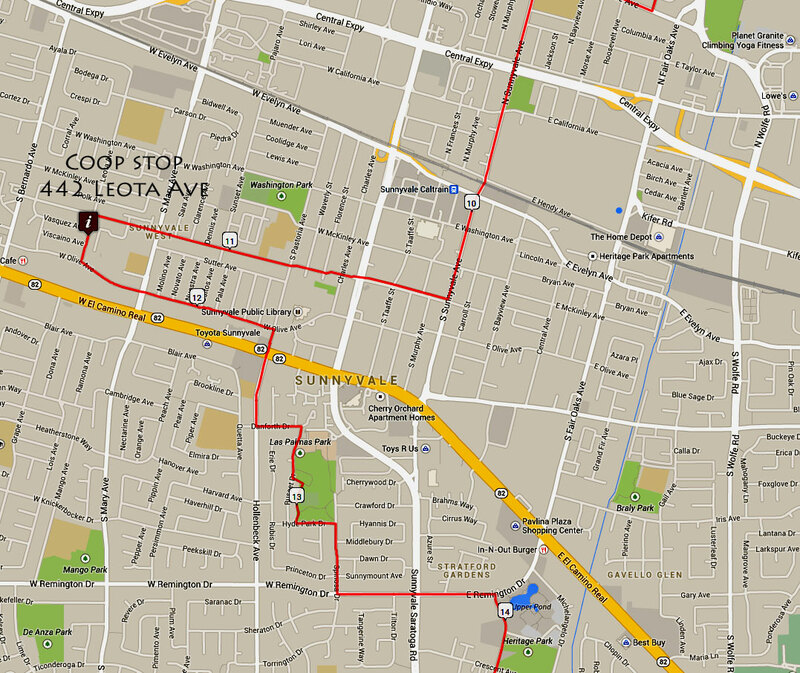 This flat 16 mile, 5 coop stop ride is in the heart of Silicon Valley. 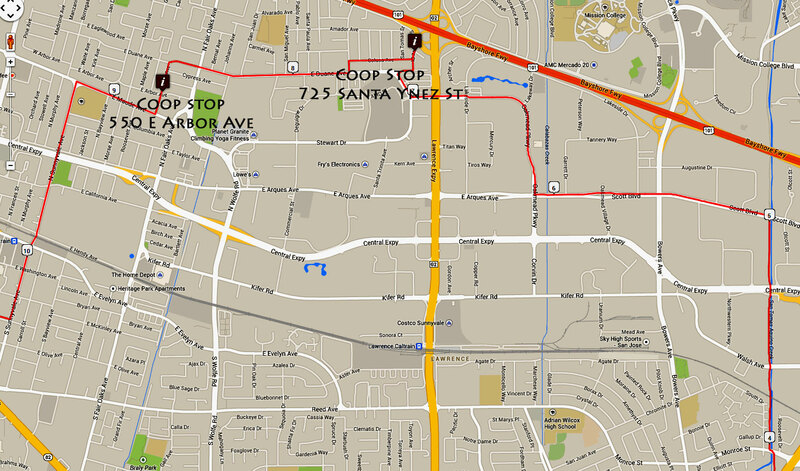 The route avoids expressways and goes along the San Thomas Aquino Creek Trail. 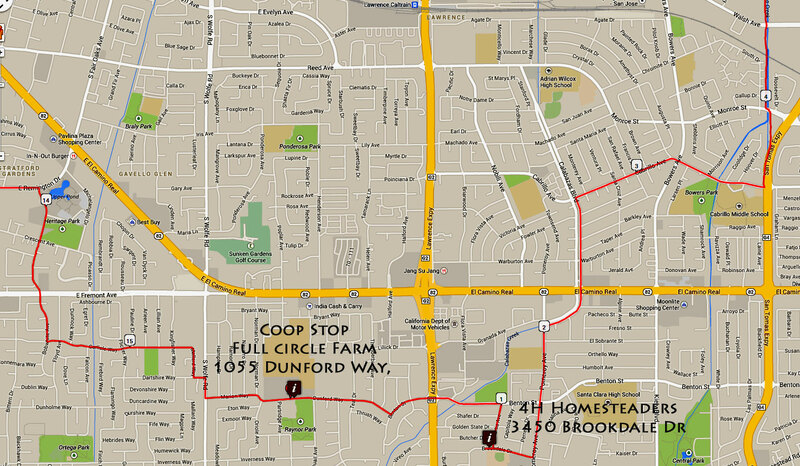 It starts at Full circle farm where there is ample parking and friendly folks to show you the community farm at full circle. If you hang around too long, they might rope you into some farm help and a harvest. 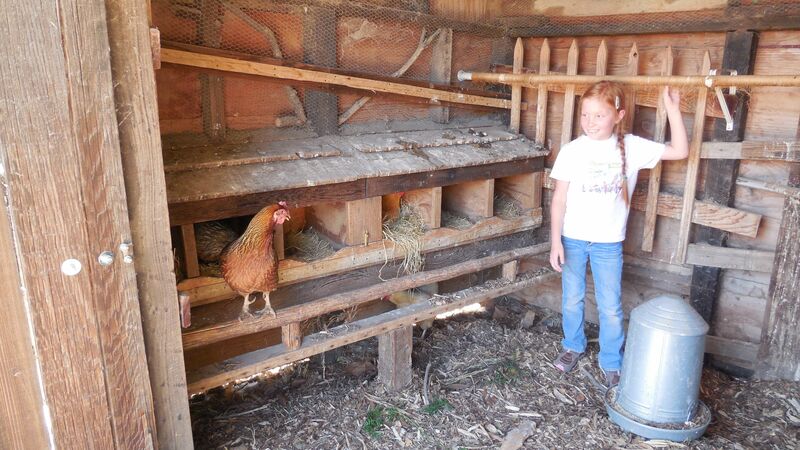 This tour features the 4H farm program in Santa Clara. This is the ultimate stop for kids and parents! Kids will be on hand to show you THEIR chickens, gardens, rabbits, goats, etc.. and if you are looking for a local, affordable and valuable alternative activity for your kids, this is it! They are currently enrolling kids (and families) into their 4H programs. Check out their program for you and your kids! Other coop stops offer HUGE rain water cisterns (like 10,000 gallons) that is a model for what we need to do NOW and an aquaponics setup too.